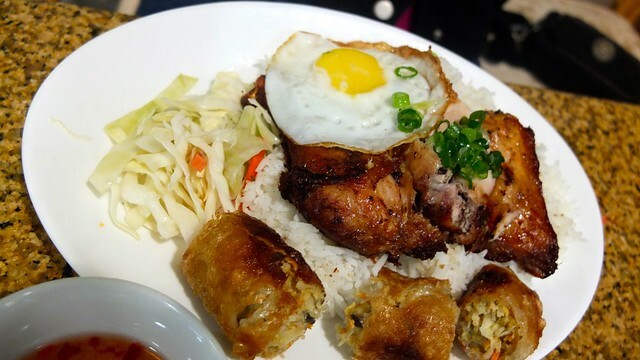 For Sunday lunch, we hit up this Vietnamese eatery deep in East Van. 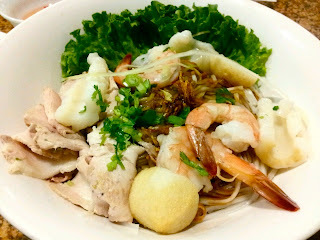 I rarely eat my native food out as I get it at home. 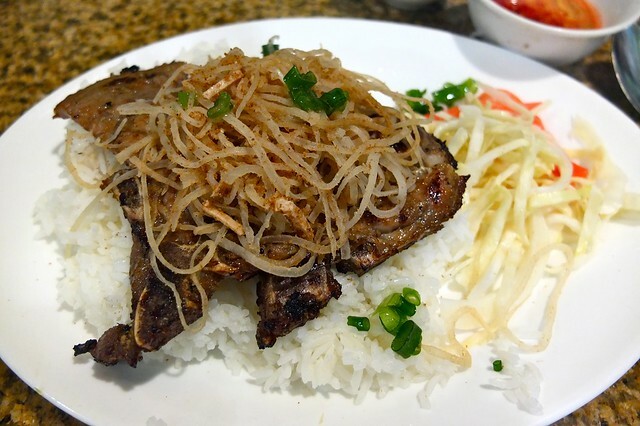 I ordered my usual of lemongrass rice with pork chop aka cơm tấm bì sườn. I usually get this because it's often pretty safe and easy to get right. The meat portion was on the small side, but it was satisfying and tasty if not standard. I was, however, super disappointed in the service during the Sunday rush. It was pretty terrible. I really hate it when a waiter takes my order without writing it down and inevitably gets it wrong. We ordered two chè Đà Lạt dessert drinks (above), a coffee, and Coke. 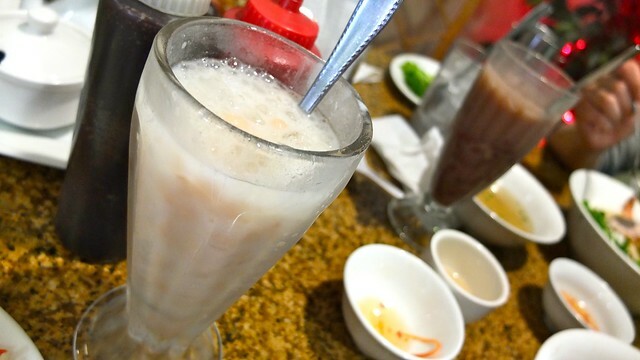 They brought one red bean drink (not ordered) and nothing else. When I asked, they said it wasn't on the order sheet previously. My drink was delicious, nonetheless. 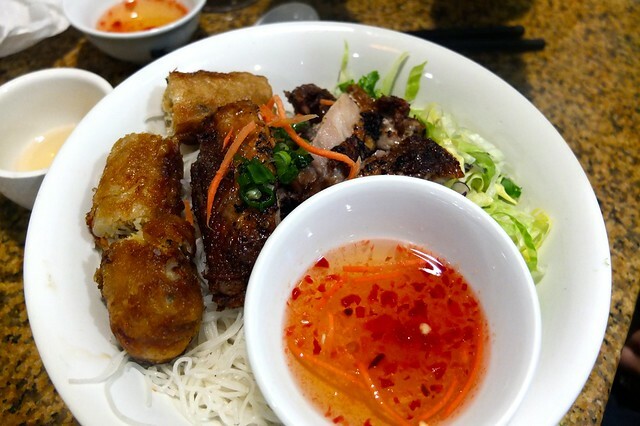 The bún thịt nướng (vermicelli noodles with chicken and spring rolls) looked pretty good as did the hủ tiếu khô (dry egg noodles). 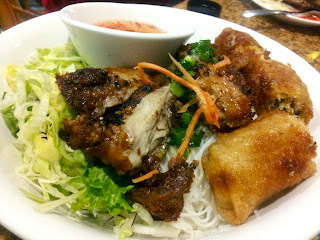 The food and restaurant were clean and well presented aside from the menus falling apart. The food was fair and adequate. However, it was hard to shake the awful service. I heard it's usually fine and much better. I need a second visit to investigate.